A blend of Nebbiolo and Barbera. It is light in color, almost as light as a rose’, but full bodied and and high in tannins and acidity, with leathery, floral, and raspberry notes. 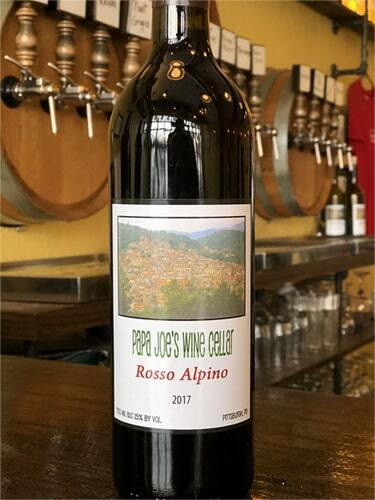 Our Rosso Alpino is grown in Lodi, CA. Alcohol content 15%.